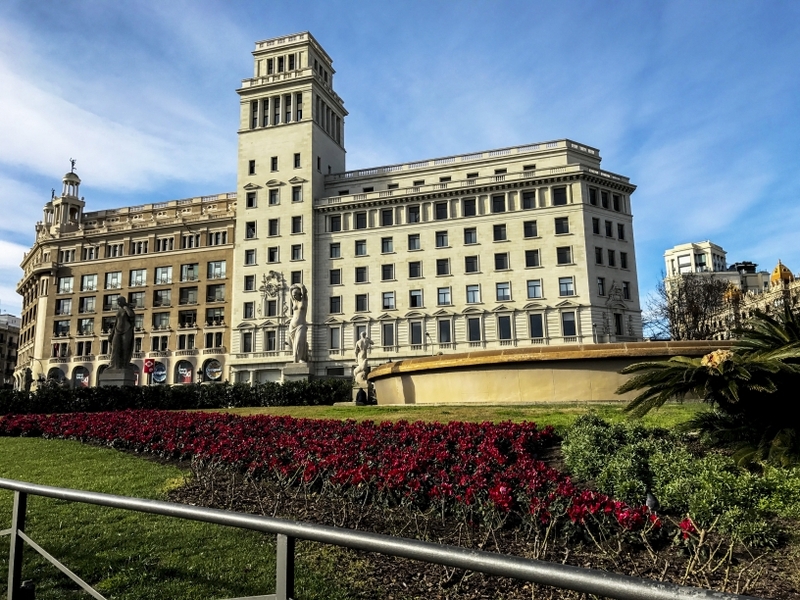 Located between the old city and the Eixample districts, Plaça de Catalunya is widely regarded as the city centre of Barcelona. 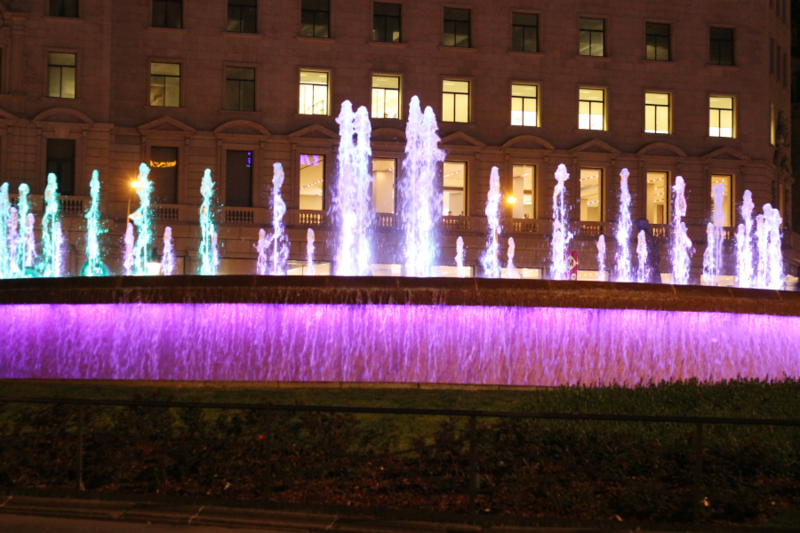 This square is full of beautiful sculptures and fountains. 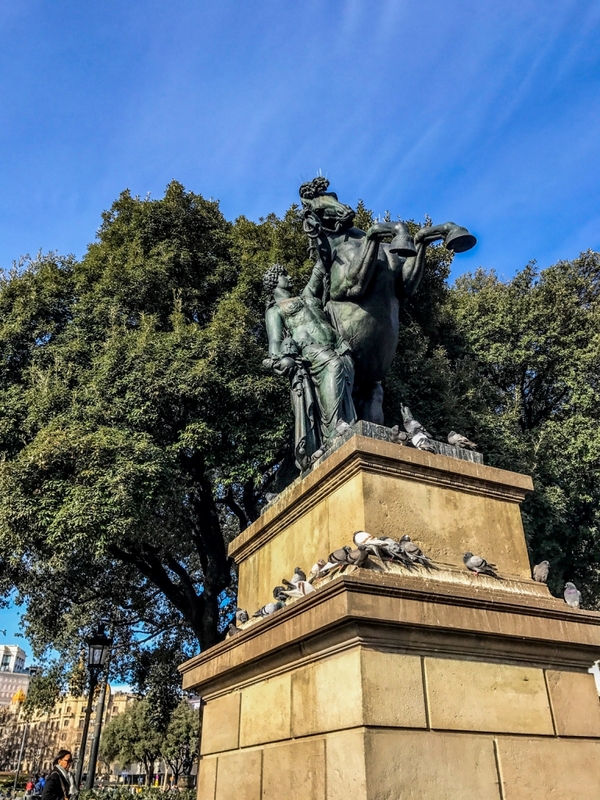 Just like Trafalgar square once was in London, it's famous for the numerous amount of pigeons that occupy the area. This area is connected to the old Gothic quarter of Barcelona through Via Laietana and Portal de l'Angel, as mentioned in our Barcelona Medieval route. Because it's so well located, you'll probably find yourself passing by this square more than once. 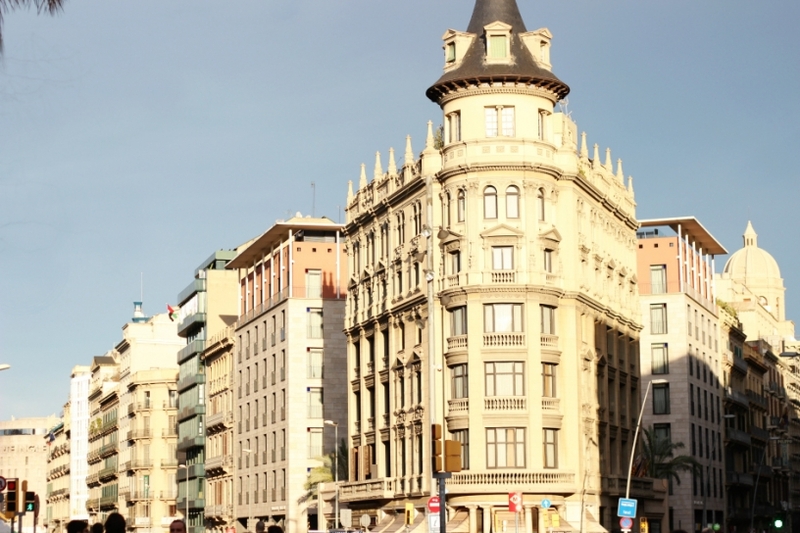 On the one side you have some of the main avenues of Barcelona like Rambla de Catalunya, and Passeig de Gràcia (where you will find Casa Batlló and Casa Milà) and to the other side you have Barcelona Cathedral and Las Ramblas. 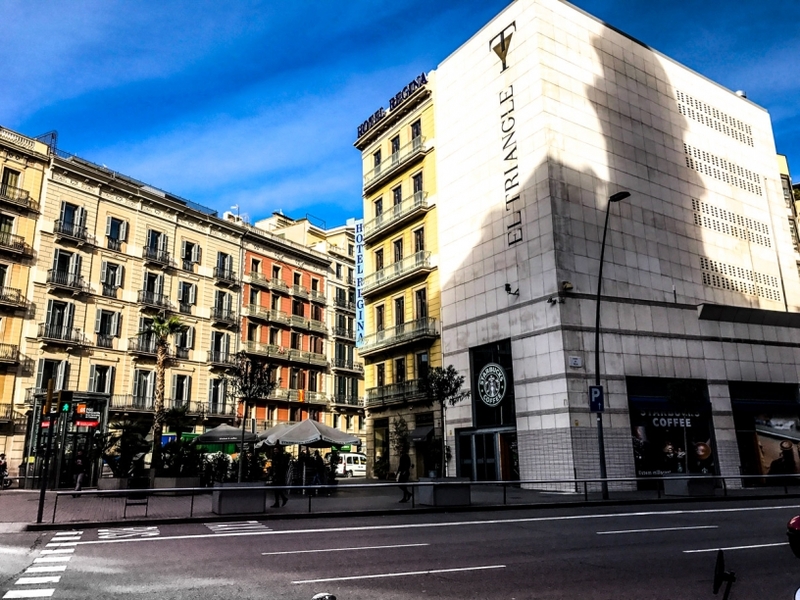 It's also a great place to go shopping, with El Triangle shopping centre featuring FNAC (electronics and books), habitat (home-ware), and various fashion shops. There is also El Corte Inglés, a huge department store where you can find practically anything. 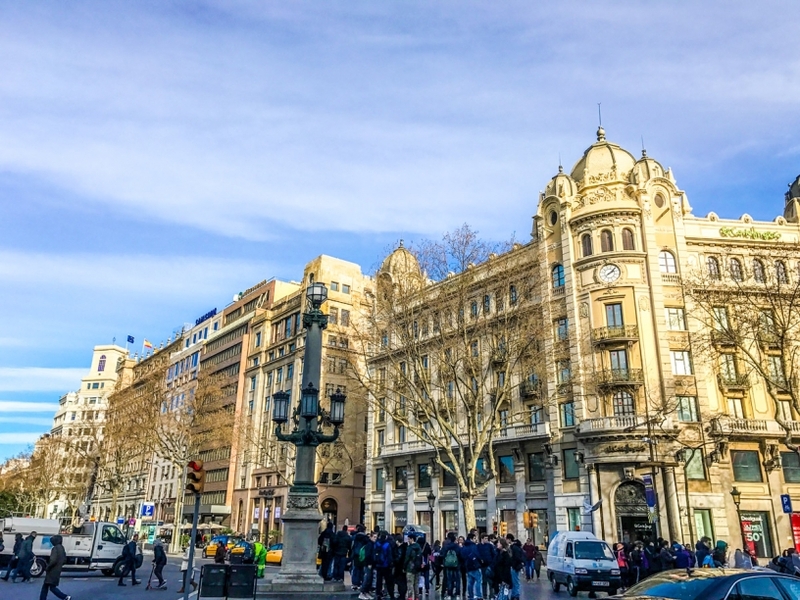 Passeig de Gracia, one of the avenues that lead into the Plaza is full of luxury branded stores. 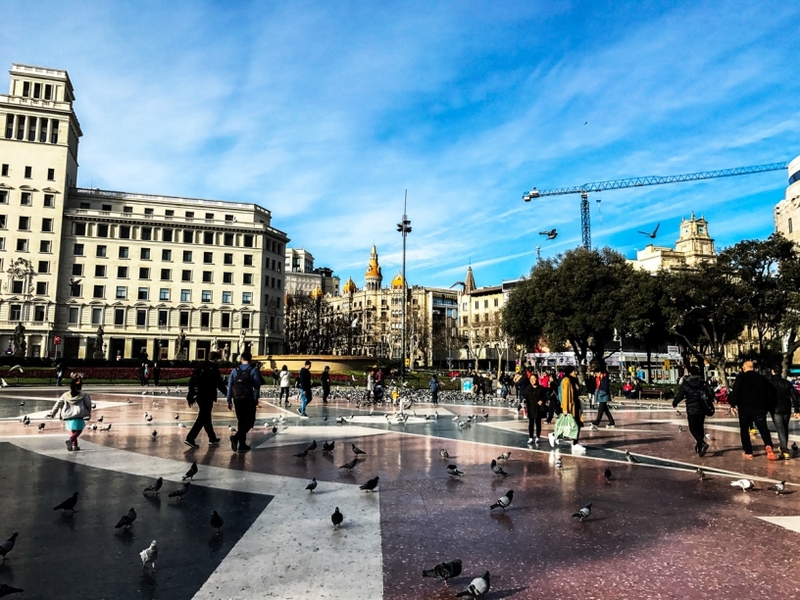 For dining and having a drink, take a walk down Rambla de Catalunya where you'll find plenty of restaurants, and street terraces where you can relax. 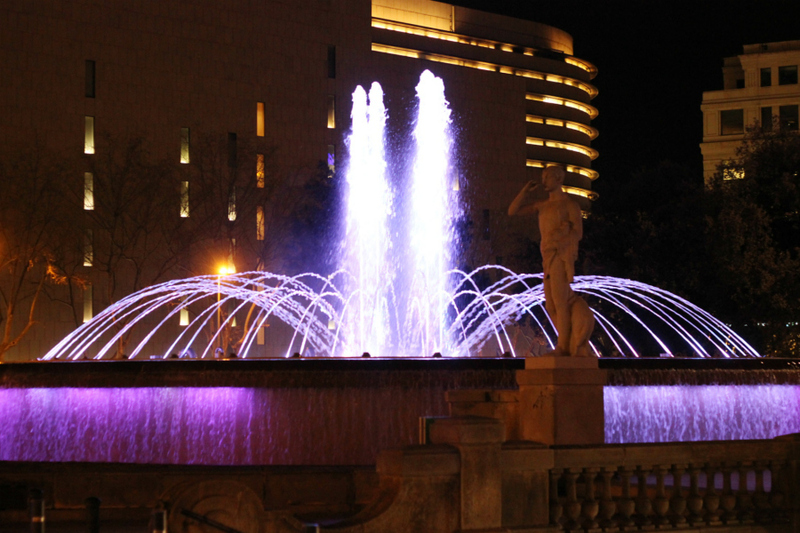 As the city centre, many of the bus routes pass through Plaça de Catalunya. If in doubt though, you can take the red line (L1) or the green line (L3), which both stop off here at the metro station Catalunya, as do local and regional trains. The Definitive Gay Guide to Barcelona Discover the best parts of the city for Gay travellers in Barcelona.